The next time you need help renovating your home, you may find inspiration from an unusual source: TD Bank. 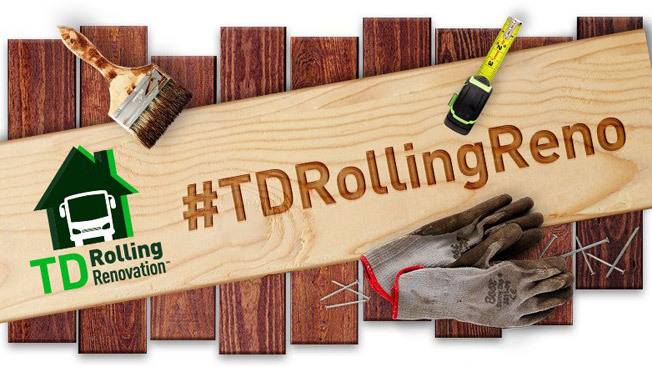 The brand has teamed up with iCrossing and Hearst for "TD Rolling Renovation," a campaign that includes digital, traditional and experiential marketing to promote its home equity loans and lines of credit. "People have a lot of dreams about their home renovation—whether that's a brand-new kitchen or upgrade a room in their house—but they have trouble turning their dream into reality," said TD Bank's CMO Pat McLean. "So, we connected the dots and felt like there was an opportunity to invest in a program that would help people understand what a home equity loan could do for them." Through May, TD Bank is hosting events in 40 East Coast cities at home shows and pop-up events at banks and home improvement stores. At each stop, Hearst will have celebrities like DIY Network's Jason Cameron on hand explaining how folks can remodel their homes. "This program was designed to be very much in the market and one-to-one with people in the community," McLean said. The campaign's big digital push includes a microsite; social posts on Twitter, Instagram and Facebook; and content supplied by Hearst from brands including HGTV and DIY Network. There's also an online sweepstakes in which people can win one of four monthly $5,000 prizes or a $50,000 grand prize to work on their dream home projects. Patrick Bennett, iCrossing's svp and executive creative director, said the TD Bank campaign is the first between the Hearst-owned agency and the publishing company. The campaign has been in the works since March 2015, when Bennett pitched the idea of leveraging Hearst's expertise in home improvement as branded content. "It became very clear that the folks on HGTV and DIY Network are integral to the dreaming and activation process for people in the home-renovation space," Bennett said. And while search, social and display advertising are areas iCrossing is known for, the project also includes traditional elements the agency is new to like print and radio. "This is the first time that we've really brought all the pieces together," Bennett said. "We've used Hearst data driving insights for answers to questions for clients. We've used Hearst content and editors for some clients. … We have Hearst integration from insight, the media space and the celebrity space, and we're even on air with the DIY Network."